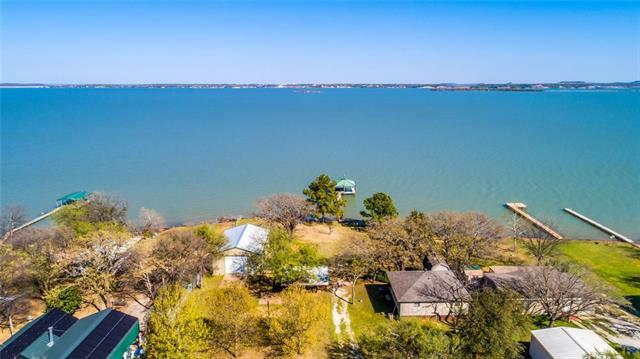 All Runaway Bay homes currently listed for sale in Runaway Bay as of 04/24/2019 are shown below. You can change the search criteria at any time by pressing the 'Change Search' button below. If you have any questions or you would like more information about any Runaway Bay homes for sale or other Runaway Bay real estate, please contact us and one of our knowledgeable Runaway Bay REALTORS® would be pleased to assist you. 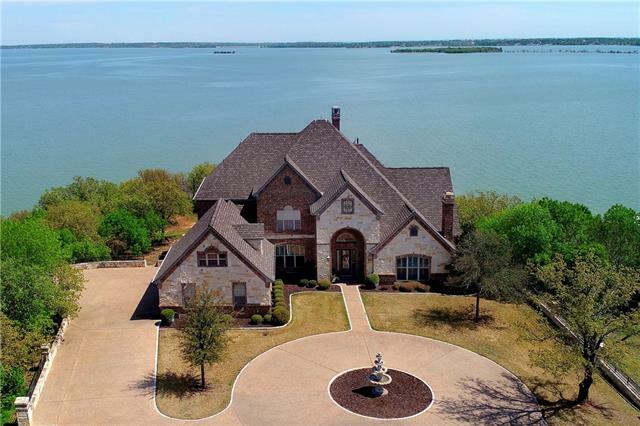 "Luxurious Lake Estate boasts panoramic waterfront Lake Bridgeport views. Custom 3 story estate features 2 living areas, sep media, phenomenal balcony, covered patio, spacious rooms & storage throughout. Architectural details in custom millwork, hand-scraped wood floors, coffered ceiling, decorative ironwork, stone fireplaces, elevator & huge WO basement gameroom & extra living area. Private master retreat, sitting area, dedicated office, large bathroom, patio access. Gourmet kitchen offers SS Th"
"LAKEFRONT LUXURY. This immaculate, professionally designed split level exudes modern elegance and comfortable living. Enjoy gatherings in the grand living space with wood burning fireplace and picture window views of the lake. Every detail of this home has been completely remodeled. Custom cabinets and unique lighting throughout. The gourmet kitchen features granite counters and stainless appliances. 3 bedrooms and 3.5 baths. Floor to ceiling windows surround the dining space. 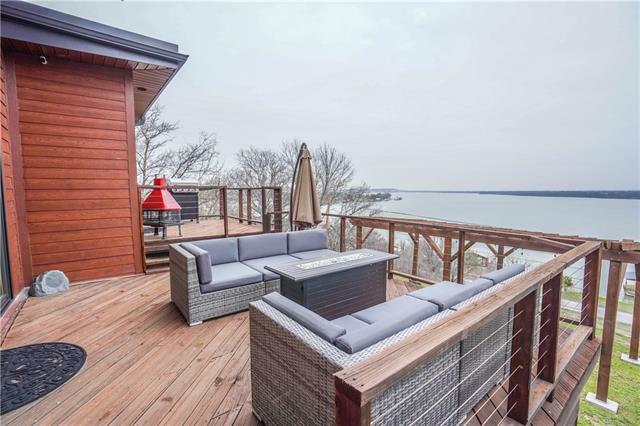 Wet bar, home offi"
"Distinctive hillside situated waterfront property with unparalleled views of Lake Bridgeport. The home towers through the trees from the bottom of a winding driveway. 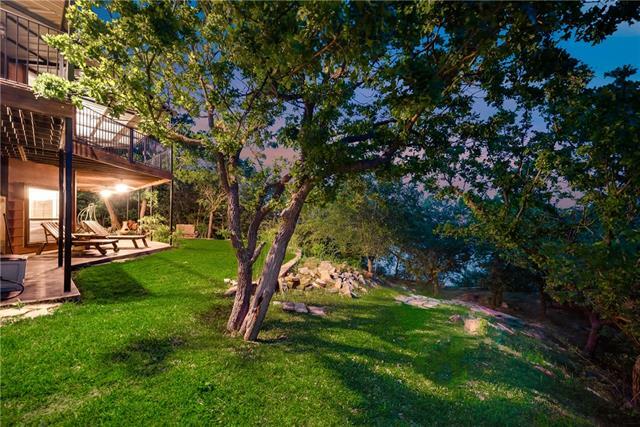 Built amongst a heavily treed lot featuring 180 degree views of the lake. 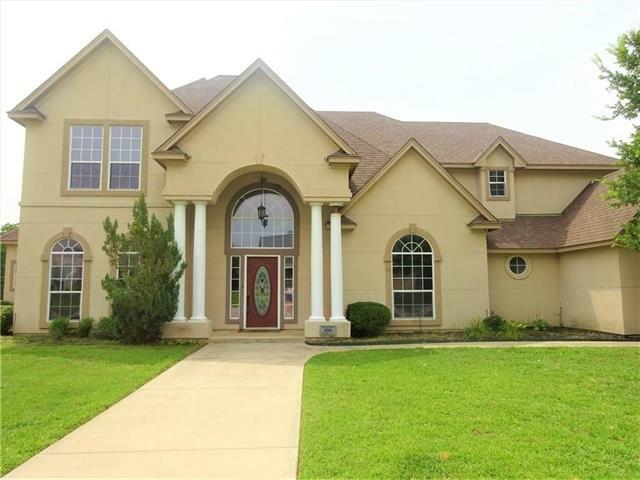 This 4 bedroom 4 bathroom home was built for entertaining and includes an elevator. Gorgeous stained concrete flooring throughout the open concept bottom level complete with game room and in-law studio with kitchen area. The covered patios provide ample views"
"LAKE FRONT LUXURY! Simpson & Gardner custom home. PRIVATE, CUSTOM, COVERED DOCK, boat lift, 2 jet ski lifts and plenty of room to fish, swim and entertain. 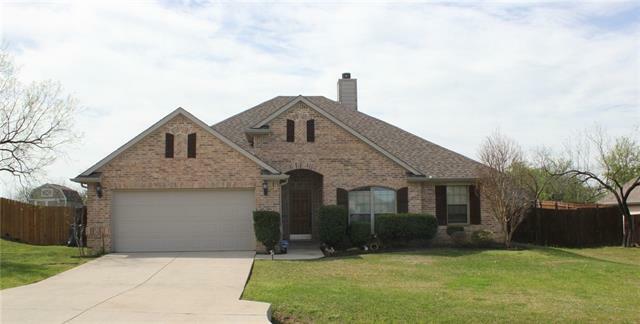 BEAUTIFULLY APPOINTED 2015 3 bdrm, 3 bath home boasts soaring ceilings, HAND SCRAPED HARDWOOD FLOORS, furniture style cabinetry and built ins, NEW PAINT, NEW LIGHT FIXTURES, heat pump, TANKLESS water heater, WOOD BURNING FIREPLACE, stainless appliances, GRANITE TOPS, huge utility room, fenced yard, NEW SPRINKLER SYSTEM, OUTDOOR KITCHEN, large"
"Spacious Mediterranean on corner lot. Walk into a grand entry with office and formal dining on each side. Large family room with fireplace and large kitchen with island and butlers pantry,granite counters, and two large pantries make this a dream work space. Spacious master and bath two walk in closets complete the first floor. Two staircases lead to three bedrooms, two baths, game room, and media room on second floor. This is a must see!!!!" 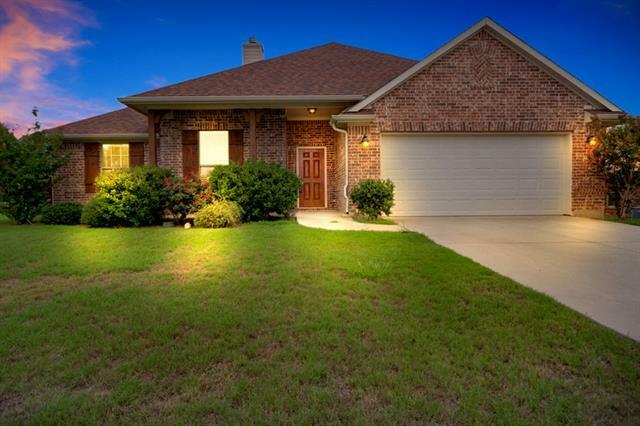 "Custom built home featuring 3B, 2B, 3CG, landscaped, sprinkler system w-plenty of privacy. Stunning kitchen, granite, built-in desk, double oven, 2 pantries, cabinets galore. Master w-bath, 2 closets, separate shower, dual vanities & jetted tub.Motor Home concrete pad 3,900+sqft w-40'x50' drive,2-50 amp circuit, water-sewer, suitable for enclosure. Outside,find the picture perfect areas to entertain guests. 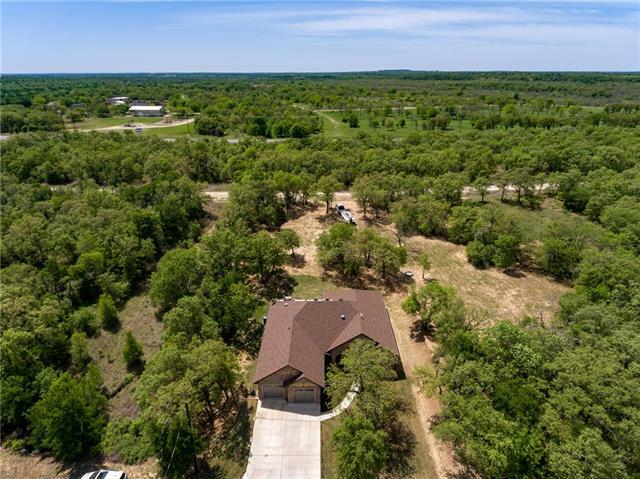 Come see this beautiful property today!" "Pristine Home inside & out with beautiful landscape and plenty of extras! 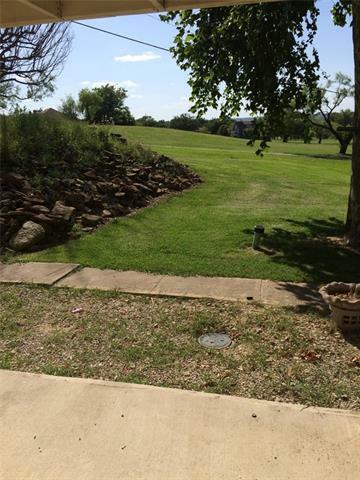 Corner & golf course lot that backs up to a greenbelt giving the home a feel of grand seclusion. 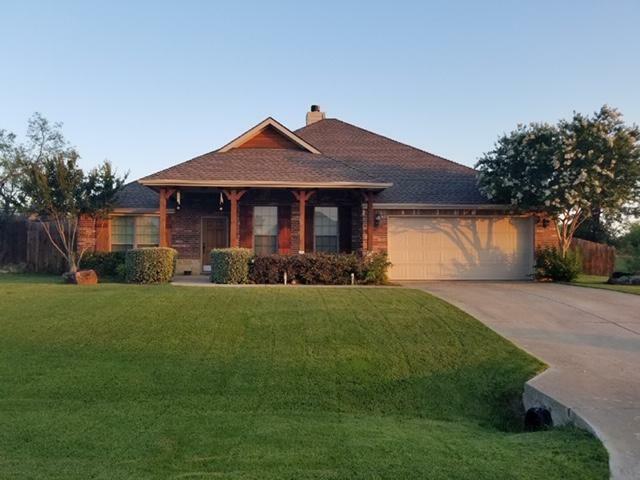 Home has an open concept with 2-living areas, exercise room, an office that could be used as a 4th bedroom, dining area and a large oversized garage with a half bath. The large master BR has a huge walk-in closet and speakers built in the ceiling. Plenty of storage spaces throughout the house, 2-HVAC units, and is well insulat"
"Priced to sell! Remarkably updated home tucked away in the quiet neighborhood of Runaway Bay. Extra tall ceilings and charming semi open floor plan provides space for entertaining or enjoying quiet time with loved ones. Convenient amenitites such as the extra large garage, multiple closets, office, and safe-storm room. Beautiful picturesque scenary surround the neighborhood as well as the greenbelt directly behind the house. Property includes extra lot which has a lot of potential uses. Home has"
"Unobstructed lake front property w a beautiful, natural shoreline. 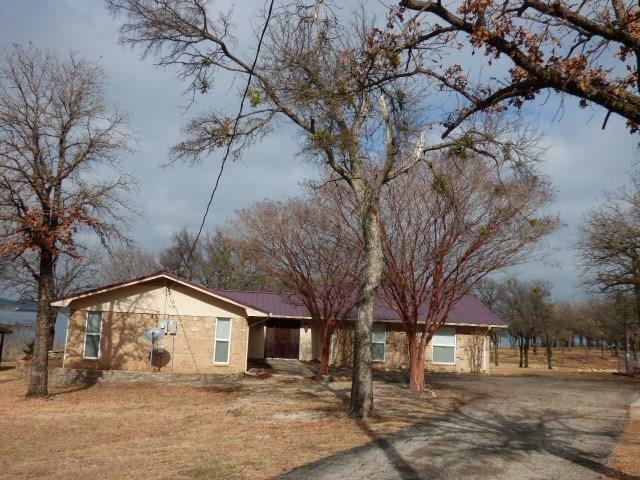 Almost 1 ac lot has cute 2 bedroom 1 bath home w a large covered front porch. A bit of cosmetic updating & this could become a real gem or easily add on & enlarge the home. Roomy bedrooms, lots of storage under the house & a well made 12x16 storage building that's insulated & on a slab w electric and water. 2 septic systems on property; one nearly new. Also a 35x40 metal shop building with 2 roll up doors, a single walk through d"
"Nicely updated brick home on the water with TWO LOTS on Lake Bridgeport. 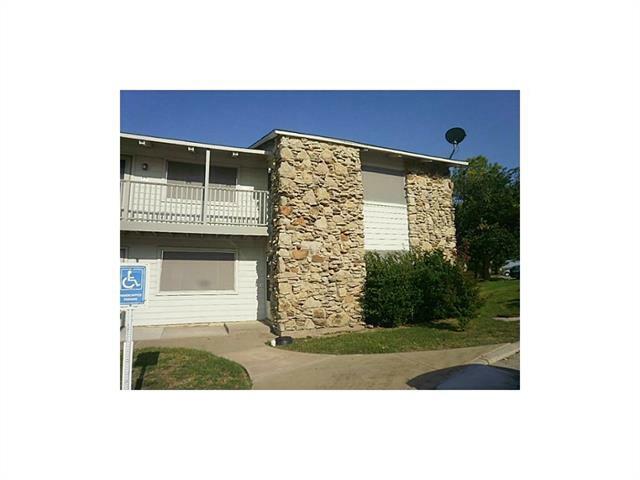 Windows have been replaced, tile and carpet updated, new HVAC system, granite counter tops, and new cabinets. Open concept kitchen, over sized dining bar, and living room with WBFP. Nice office or craft room with counters and cabinets. Enjoy your back yard while relaxing on a 22x42 covered porch. Detached building for toys and lawn equipment measures 15x24." "Beautiful home on GOLF CART COMMUNITY on an acre! Easy access to 380, private lot, wildlife and no one will build next to you. Enjoy the quite life this home has to offer. Open concept, large master bed room, bath, huge walk in closet, second bedroom is over sized with two closets. Big walk in pantry! Exterior includes a partial covered patio with an extended concrete porch. Sprinkler System and Rain Gutters were put in September of 2017. 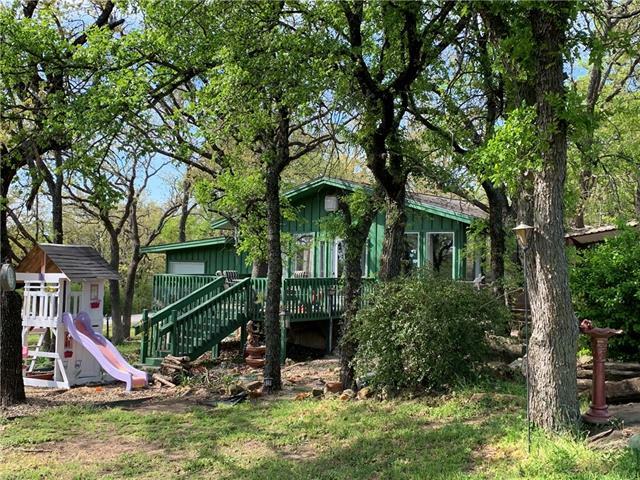 Great potential for this house, build a shop,"
"This 3 BR 2 bath home is located on a large corner lot with a circle drive and fenced backyard. 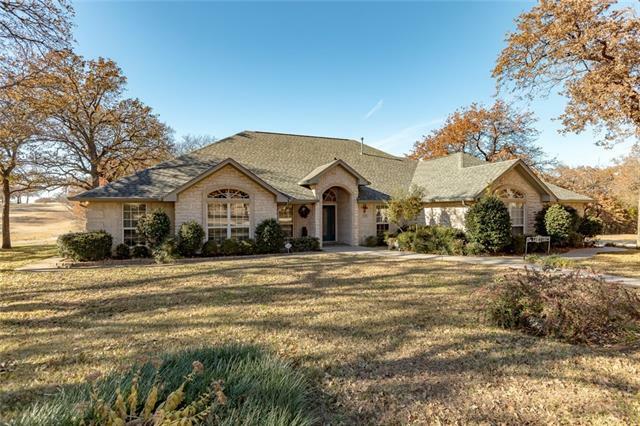 The home has a wood burning fireplace, office, formal dining room and an over sized garage with a golf cart garage, office has a closet and murphy bed that could be a 4th bedroom. Runaway Bay is a lakeside community on Lake Bridgeport and boast a 18 hole golf course and country club. Great place to live." "Wonderful Country home in the peaceful community of Runaway Bay. Located on an extra large, landscaped lot, this Beautiful Christopher Grace Custom home has all the charm of quiet country living while also offering close proximity to Runaway Bay's Championship golf course and Bridgeport lake! 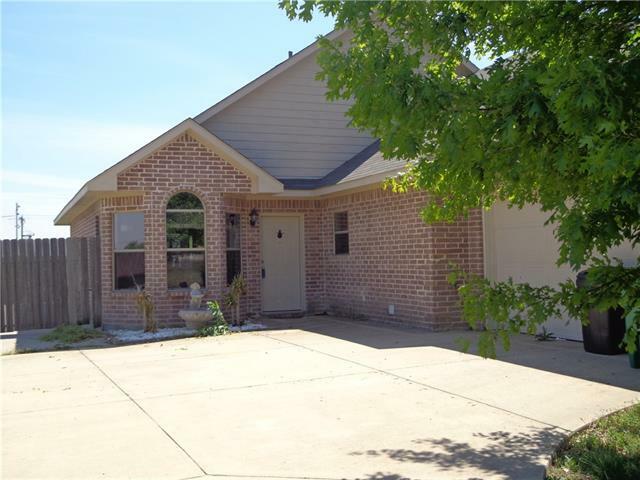 This 3 bedroom, 2 bath home is 1,856 sq. feet with open concept living and kitchen, separate dining and split bedrooms! The eat in kitchen looks out to the huge fenced backyard. The separate dining room"
"Nice 3 bedroom 2 bath brick home that sits on 2 lots across from golf course and has great views of Lake Bridgeport. Large back patio. Open concept-kitchen, dining, living room with WBFP. Nice size bedrooms, master bath with jetted tub. Very livable home. 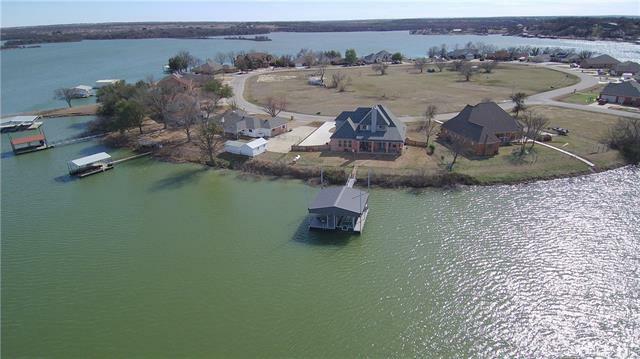 Access to newly remodeled country club, 18 hole golf course, fishing, boating, swimming in the beautiful lake. Don't let this pass you by." "OPEN HOUSE SUNDAY, APRIL 14TH 1PM TO 3PM. 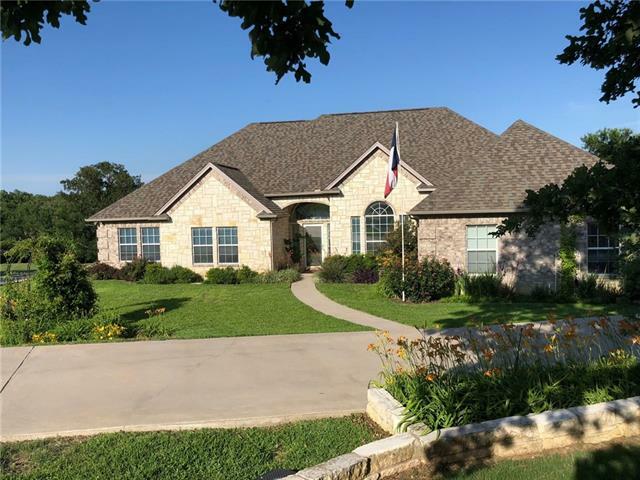 Located in the lakeside community of Runaway Bay with marina and 18 hole golf course, you will find this beautiful 3*2*2 brick home built in 2008 on .26 acre lot. Island kitchen with breakfast bar, granite counters and plentiful cabinets. Stone wood burning fireplace, hand scraped wood floors and vaulted ceiling in the living area. 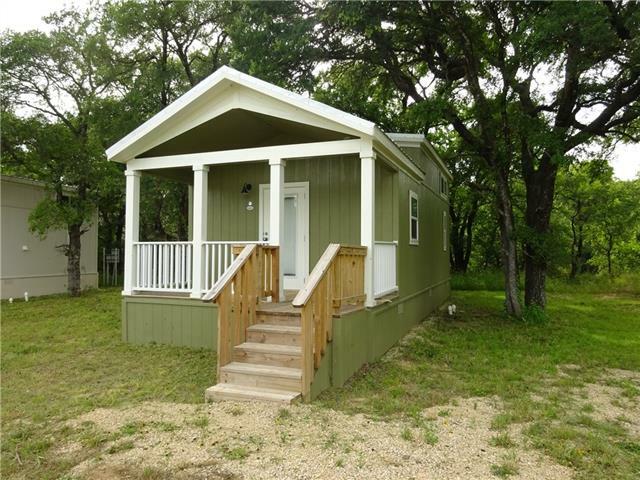 Split bedrooms, spacious master suite with jetted tub, dual sink vanity and walk in closet. Privacy fenced back yard, cov"
"WELCOME HOME!! This stylish residence is nestled in the quaint community of Runaway Bay where you will find the upmost tranquil and welcoming atmosphere. Within minutes you can be on Lake Bridgeport with your family, soaking up the sun while fishing or swimming. The property offers a masterful design with high ceilings, open-concept living, and a fantastic covered patio that invites comfort for family and friendly gatherings. The house sits on an oversized lot and is equipped with ample running "
"Very Nice 3 bedroom 2 bath home in Runaway Bay, with the Lake being Full and so Beautiful you are only a few minutes to the main Docking area. Large back yard over looking treed area with abundant wildlife." "OPEN HOUSE SUNDAY APRIL 14th from 1:00pm to 3:00pm. If you are looking for an affordable home close to Lake Bridgeport and the RB Golf Club, this is it! 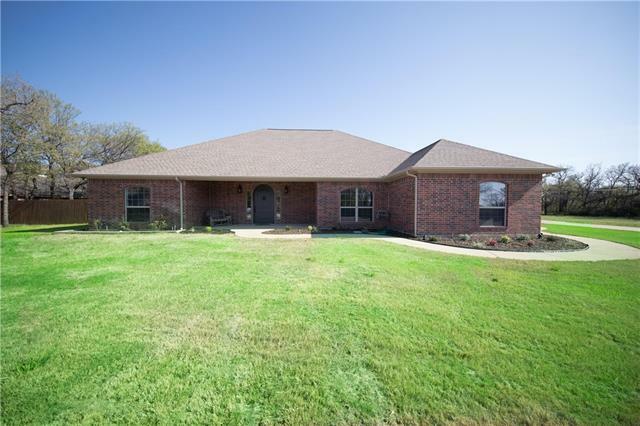 This 3 bedroom, 3 bath charmer includes 3 lots, totaling 0.667 of an acre. Kitchen has been updated with granite counter tops, and stainless appliances, loads of cabinetry for storage, separate pantry and gas fireplace for cozy evenings. There is an abundance of windows in the family room for natural lighting, deck off the master and separate d"
"Beautiful tiny house, one bedroom with a loft. This home sits on a nice lot in a cul-de-sac. This tiny home features all appliances ,new HVAC system, and laminate flooring. The exterior of the home features mature trees, and is five minutes away from Bridgeport lake. The exterior pictures of the home is the home that will be on the lot. The pictures of the inside of the home is similar to the pictures provided, without the wood features. Same floor plan but finish out will vary. See documents fo"
"Beautiful tiny house, one bedroom with a loft. This home sits on a nice lot in a cul-de-sac. 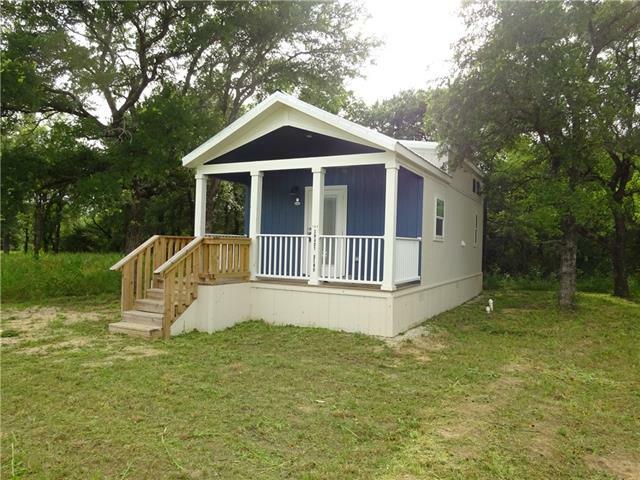 This tiny home features all appliances ,new HVAC system, and laminate flooring. The exterior of the home features mature trees, and is five minutes away from Bridgeport lake. See documents for the Map of home. Home will feature gravel driveway. Seller offering a portion of owner financing for buyers!" "Nice and clean Condo .One bedroom one bath Up stair Unit . 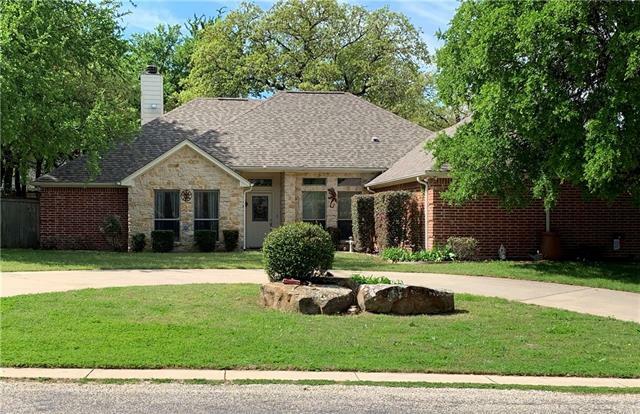 View of the Lake and the pool, Up dates include updated laminate and new paint"
"Updated and well maintained condo includes upgraded hard surface flooring, remodeled kitchen and bathroom. Nice view of Lake Bridgeport, well maintained end unit. Tenant occupied, lease expiring July 1, 2019 tenant pays $650 per month, HOA pays water"